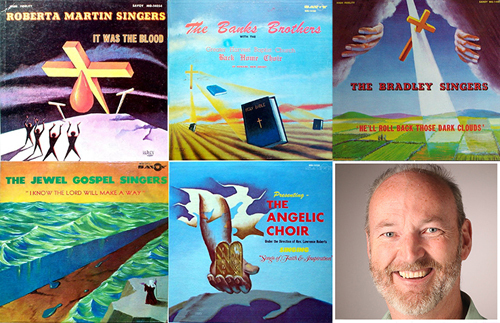 In the 1960s, an unknown artist named Harvey supplied his bright, almost otherworldly perspective to about 200 gospel album covers (175 or so for the fabled Savoy Records) before disappearing into obscurity. Five-plus decades later, Robbie Rogers is devoting his master's thesis to Harvey's illustrations — and feverishly collecting Harvey albums in the process. Special thanks to Bob Marovich at the Journal of Gospel Music for his invaluable help in making this episode possible.